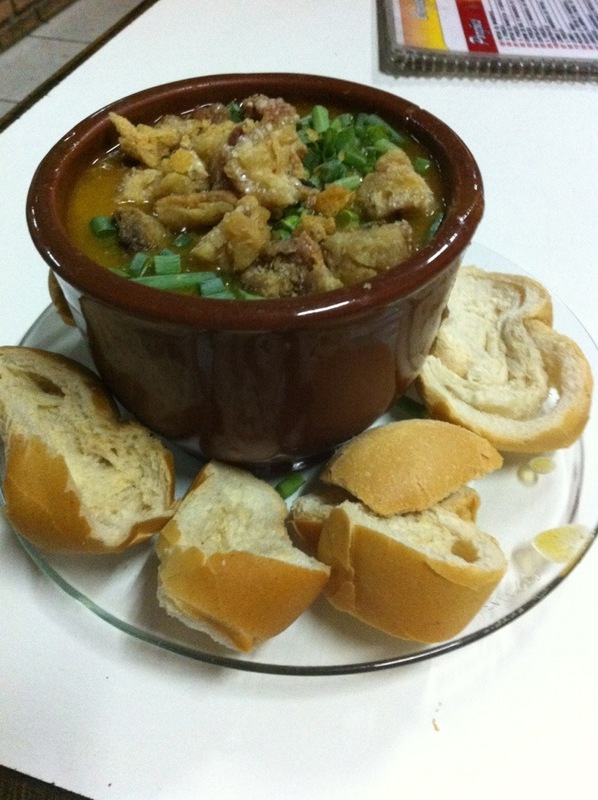 One of the cousins that I’m staying with is a big fan of caldo de mocotó (cow hoof soup–yeup, you read that right). He can rattle off the best places to get it and when we all went out on Sunday night he lead us straight to a restaurant that served a buffet of six different soups. It was on my list of 100 Brazilian Dishes to try so, heck, why not? The verdict? I like it. It’s basically a thick beef broth. Sort of like a lighter French onion soup. My guess is that when cold it congeals into a block, but lets not think too hard about that because served warm its hearty and delicious! Oh yes, I’m a big fan of Caldo de Mocotó – totally delicious and you’re right, when left to cool it turns into a very solid block! Hi. Are you in Belo Horizonte? If so have you tried the Indian restaurant below? I’ve never been but read good things about the place. You just missed me! I left BH last week. I’ll be going back in a month or so. I adore Indian cuisine & miss eating it, so I’ll definitely track this place down when I go back! Anyway I hope you had a good stay and a nice trip back home.